Two of the biggest tournaments in the year, UK Championship and Masters will move to other venues start from the next season. The Last man to win Masters in Wembley? The biggest invitational non-ranking event on the calender, Masters may no longer called Wembley Masters next year. Because it will move to Alexandra Palace which is very near to London. Alexandra Palace is a bigger venue compare to Wembley Arena, hopefully it can attract more fans to witness the new being Masters Champion. Ding Junhui is the defending Master Champion, possibly the last Masters champion trumped in Wembley Arena. Masters 2012 which only features world's elite top 16 players, will run from January 15 to 22, 2012. BBC and Eurosport will televise the biggest invitational event as usual. 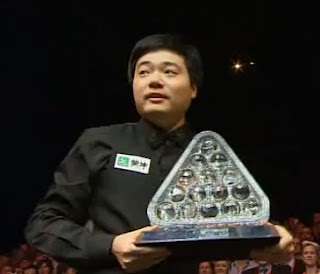 UK Championship which is currently hold in Telford, will return to stage in Barbican Centre, York. 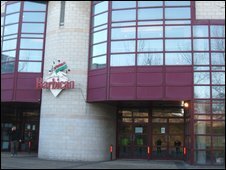 UK CHampionship was staged in Barbican Centre between 2001 to 2006, starts from 2007 it moves to Telford. It is a good news for both York Snooker Fans and players. It will run from December 3 to 11, 2011, wide live coverages by BBC and Eurosport.